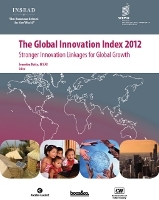 The driving force behind the innovation process is people – people with a passion for discovery. Without their inquisitive minds, their quest for new ideas and their creativity, there would be no inventive spirit and no progress. 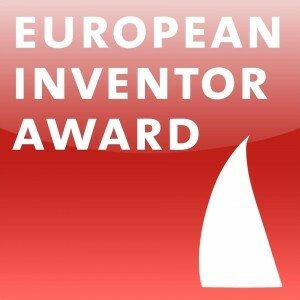 As one of the most prestigious competitions of its kind, the European Inventor Award pays tribute to the creativity of inventors the world over, who use their technical, scientific and intellectual skills to make a real contribution to technological progress and economic growth and so improve people’s daily lives. Launched by the EPO in 2006, the European Inventor Award gives inventors the recognition they deserve. And, like every competition, it acts as an incentive for other potential winners. It helps to protect ideas and encourage innovation. In 2012 the award ceremony will take place on 14 June 2012 in Copenhagen, Denmark, in co-operation with the Danish EU Council Presidency, the Danish Patent and Trademark Office as well as the European Commission. Winners are presented with a trophy shaped like a sail, created by German industrial designer Miriam Irle. One of the world’s oldest yet most groundbreaking inventions, the sail is still a symbol of pioneering spirit – a simple technological idea that harnessed natural forces to move man across the oceans for thousands of years. Each year a different material is used to make the trophy. Awards have in previous years been made from aluminium, porcelain, synthetic resin and glass, fibreC – a type of fiberglass concrete – and arborform – the 100% renewable „liquid wood“. In 2012, the trophy will be made from translucent concrete, an innovative material combining the strength and durability of traditional concrete with the aesthetic advantage of light reflection. Thousands of fine optical fibres incorporated into the concrete mass absorb the light and reflect it back again. For the first three years, only examiners at the European and other patent offices were invited to propose outstanding inventors for the award. But in 2009, the process was opened up to the general public, so now anyone can submit an entry. After an EPO panel has narrowed the entries down to a shortlist for each category, carefully checking that the related patents are still valid and all the other competition criteria are met, a high‑profile international jury nominates three inventions from each shortlist.